Animated French movie with English subtitles. A thought-provoking film regarding a painting left unfinished by the artist, causing conflict with the characters in the painting. The Allduns who are entirely painted occupy the palace, while the Halfies who lack only a few colors are relegated to the garden and the Sketchies who are only sketches are treated as outcasts. Three friends, one of each class, go on a quest to find the artist so he can finish the piece and hopefully unite the people. In June 2013, the film was given the Award for Best Feature Film at the 8th Festival of European Animated Feature Films and TV Specials. Man of La Mancha, starring Peter O’Toole and Sophia Loren, singing The Impossible Dream. Man of La Mancha is one of my absolute favorite movies, I never get tired of watching it. Based on a true story, a young girl who survives a car crash that results in the death of her mother is sent to live with her father on an Ontario farm, where she adopts a brood of Canada geese chicks. The story follows how she and her father lead the birds on a migration route from Ontario to North Carolina to guide the birds to sanctuary. The initial movie title was Flying Wild but ultimately the title was changed to Fly Away Home. 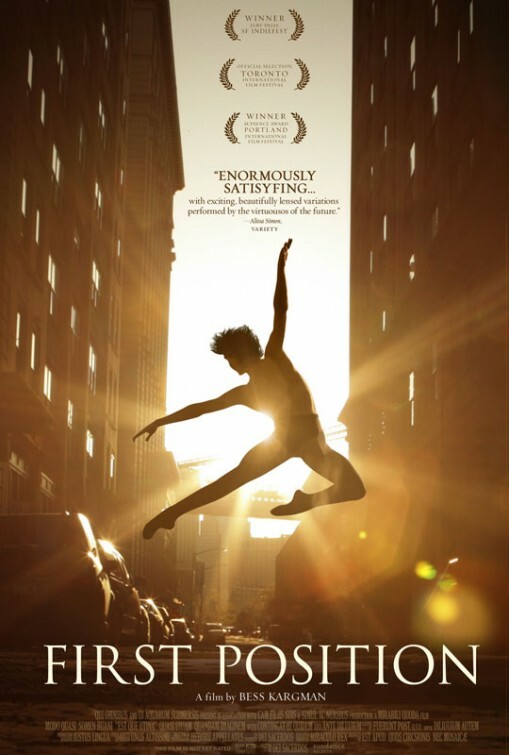 First Position is a 2011 American documentary film. It follows six young dancers preparing for the Youth America Grand Prix in New York City, an annual competition for dancers ages 9–19 to earn a place at an elite ballet company or school. It features young dancers Michaela DePrince, Aran Bell, Miko Fogarty, Jules Fogarty, Joan Sebastian Zamora, Gaya Bommer Yemini and Rebecca Houseknecht as they intensively train and prepare for what could be the turning point of their lives. A documentary well worth watching. It is available on Netflix. Here is the movie trailer briefly explaining what the movie is about.